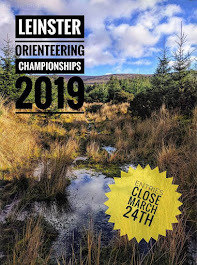 The Leinster orienteering championships were held in Carlingford Co Louth on Sunday last. In what was ideal weather conditions and a tough course CNOC runners did well. Our best win of the day was Deirdre Ryan who won the W16 event this was just reward for all the effort she has put in during the year. Well done Dee. Seamus O Boyle won the M21Elite from a very competitive field. While Niamh O Boyle won the W21Elite in style. Caoimhe O'Boyle took the W14 title, Bridget Lawlor took the W40 title. Bernie O Boyle was second in the W50 event. Apparently I can put in new pages, so I'll see where the this site goes . . . Onwards and upwards. The switch is here! !